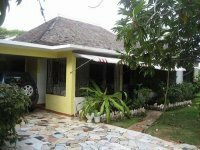 VILLAS AND APARTMENTS TO RENT IN JAMAICA, THE CARIBBEAN. 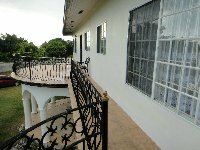 Welcome to our selection of holiday homes to rent in Jamaica, the Caribbean. Jamaica is an island nation in the Caribbean situated about ninety miles south of Cuba with the capital city at Kingston. The Jamaican climate is tropical with temperatures averaging between 25 and 28 degrees C.
Natural formations to interest tourists occur all over the land. Rivers, waterfalls, caves and grottos await the more adventurous traveler to be explored. These are home to a rich array of wildlife including many species of bats, iguanas, the American crocodile, wild pigs and parrots. The range of different methods of touring is very wide indeed. For example, the famed Black River may be traveled by tubing for the more adventurous tourist. The forests can be traveled from on high with the use of ziplines. Besides which are the more mainstream touring methods such as riverboat, horse riding or by jeep. The bulk of activities in Jamaica seem to be water-related. Fishing tours are big business; particularly deep-sea fishing. The surrounding seas are packed with coral reefs inhabited with colourful creatures, ideal conditions for diving or snorkeling. The less adventurous can always opt for a simple cruise tour. One of the most significant historical sites would be Nine Mile Village, the birthplace and burial place of reggae singer Bob Marley. Tucked away amid picturesque mountains, the village now serves as a shrine and museum to Mr Marley's music, childhood and Rastafarian convictions. 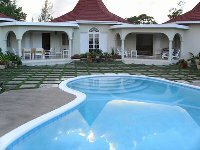 Looking for self catering holiday accommodation in Jamaica? 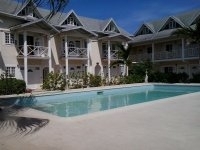 Then below is a selection of apartments in Jamaica and villas in Jamaica that can be rented direct from their owners. You can either click on each listing for further details or you can use our search engine on the left if you are looking for something in particular.